NAPLES, Florida, October 17, 2018 (LifeSiteNews) – A 65-year-old pro-lifer was physically assaulted Monday during a small pro-life demonstration outside a Planned Parenthood facility in Naples, Florida. Every week, a group of pro-lifers gathers on the sidewalk outside Planned Parenthood Naples Health Center to pray, display signs to passersby, and persuade abortion-minded women to consider alternatives. The center, which started committing abortions in 2009, is across the street from a pro-life Community Pregnancy Clinics location. Around 10:49 a.m. Monday, authorities responded to reports of an assault, the Naples Daily News reports. According to witnesses, a man who appeared to be in his mid-forties exited the building, took some pictures of the protesters, and then approached Joe Alger who was praying on the sidewalk. Multiple witnesses told police and reporters the same thing, all agreeing that such violence was unprecedented. An ambulance took Alger to a nearby hospital to be treated for his injuries. “I arrived, I saw an ambulance with police all over the place. They told me what happened, and at that point, I went to the ambulance and Joe was bleeding, he was quite bloodied up,” Fr. Michael Orsi, the parochial vicar of St. Agnes Church, told LifeSiteNews. 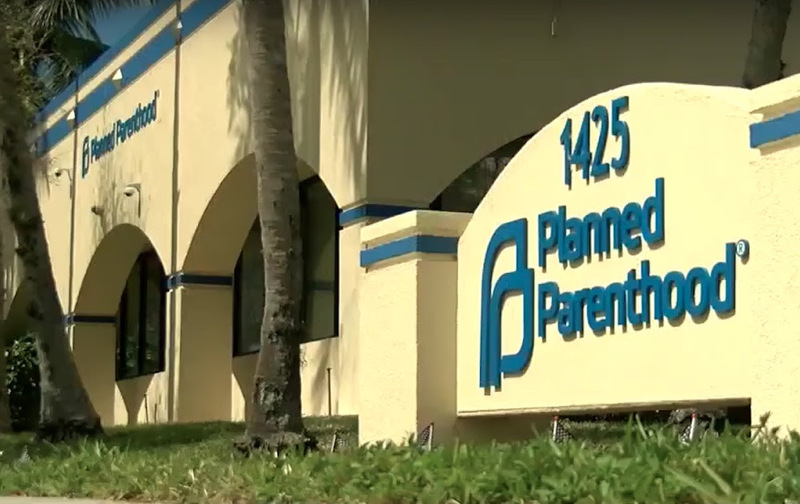 Orsi questioned Planned Parenthood’s cooperation, noting that the facility claimed its security cameras couldn’t be reviewed because they happened to not be working. Valkenburg, who wasn’t present until later in the day, also suggested Alger had trespassed on the abortion facility’s property earlier in the day, a charge Orsi is skeptical about. He had been told that a woman had told Alger she was afraid her daughter was at the facility to get an abortion, and asked him to go look if a certain type of car was in the parking lot. In any event, Orsi said the incident was ultimately about a “very violent man” who may act out again, “ill will here on the part of Planned Parenthood,” and a rising tide of left-wing anger boiling over into violence. “An organization that promotes violence inside is also going to promote violence on the outside,” he said. “And I think Planned Parenthood is becoming more and more desperate” between the Trump administration partially defunding the abortion giant and the impending midterm elections. News of this assault comes a few weeks after a pro-life woman was roundhouse kicked by an abortion activist during a peaceful demonstration in Toronto.